On Origin Game Day... No fence sitters are permitted at whatever location you are watching the game. Force the non-passionate into picking a team to barrack for or send them home to watch repeats of Packed to the Rafters instead. PS. They shouldn't text and drive on the way home. 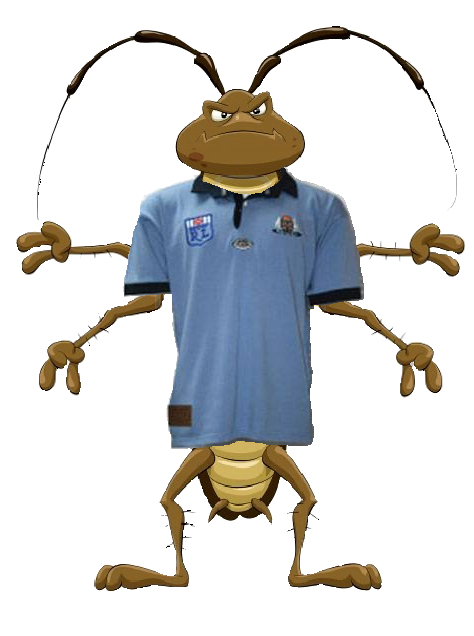 On Origin Game Day... Cockroaches in New South Wales and Cane Toads in Queensland become protected species... unless of course one is seen on the wrong side of the border and in that case - it's open season. On Origin Game Day... Avoid mentioning natural disasters as motivational ploy before kick-off... and if Benny Elias is watching the game with you, apply the masking tape to his mouth at the first opportunity. On Origin Game Day... For the social drinkers - every time Channel Nine Commentator Phil Gould utters the phrase 'That's an Origin play' then it's time to drain the beverage and load up again... every year Origin can be a tough night on drinkers if a full list is drawn up to cover the clichés. On Origin Game Day... Despite the availability of Foxtel IQ and other recording devices, the game will not be paused for anyone needing to use the bathroom... you hold on til Half Time or you miss out. On Origin Game Day... No phone calls are permitted during play, however if you choose to send an SMS don't expect a reply, as no one is obligated to return messages before Half Time or Full Time. 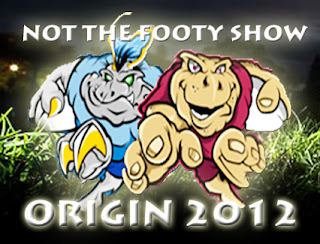 On Origin Game Day... Non-Football conversation is banned from the room or vicinity of where the game is being watched. You have one warning - then you'll be shown the door. Save the 'topical' conversation for the pre-game... ladies. On Origin Game Day... KNOW IT IS GAME DAY. Cancel training, cancel date night, cancel bible study, cancel meetings, cancel dinner at the in-laws - CANCEL EVERYTHING! Because for three nights a year Origin is all that matters. On Origin Game Day... If New South Wales are ahead at any point in the game, no-one south of the border is permitted to say or even think that the Blues are home. Punches and/or objects will be thrown in the direction of any perpetrator with the intent to hurt. What are your Origin rituals or Rules when watching the game?